Home / About Us / Solus at RHS Chelsea Flower Show 2018. Launch New Modern Accessory for the Outdoor Gas Firepit. Solus at RHS Chelsea Flower Show 2018. Launch New Modern Accessory for the Outdoor Gas Firepit. We are looking forward to once again showcasing our fantastic garden terrace fire pits as we preview what else is in store for visitors at the 2018 RHS Chelsea Flower Show, London. This year Solus Decor are excited to launch a new accessory for the Hemi fire bowl. The metal table top can convert into a drinks ring for the 36 and 48 Hemi fire pit and hence adds a new dimension to the use of this contemporary and sculptural firepit. A simple disk table top is also available for the 26 Hemi. They are constructed out of noncorrosive aluminum and stainless steel. Therefore they are perfect for social gatherings in residential or commercial settings. Solus Décor Hemi Gas Firebowl Firepit. With metal drinks ring. 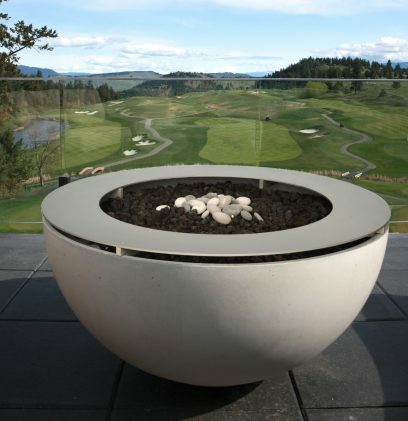 Shown on the terrace at Predator Ridge Resort Canada. The metal table top turns this firepit into a modern table when not lit. 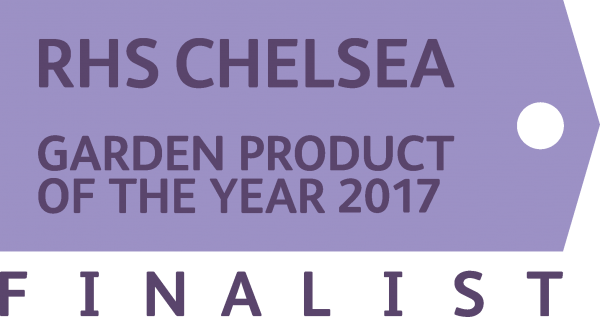 Chelsea is at the forefront of the shows for the garden industry. This year is no exception and we are excited to see the CHERUB HIV Garden: A Life Without Walls designed by Naomi Ferrett-Cohen. Naomi is working with HIV partnership CHERUB to help raise awareness about young people living with HIV in the UK and beyond. Featuring a Solus Water Dome, Naomi has designed a space that could be recreated within a home garden context. The garden uses specialist planting and design to take visitors on a powerful symbolic journey helping to promote acceptance and understanding about the condition. Chelsea 2018: The CHERUB HIV Garden designed by Naomi Ferrett-Cohen and featuring a Solus Decor Water Dome. Another must-see garden will be The Myeloma UK Garden, designed by John Everiss and Francesca Murrell. It will highlight the work of Myeloma UK. A bold 7 tonne, 12 feet high sculpture will rise from the garden as its centrepiece and as a result, promises to be unique and contemporary. Chelsea 2018: The Myeloma UK Garden Designed by John Everiss and Francesca Murrell. On the Solus Decor stand on Pavilion Way PW/608, we will of course be displaying and demonstrating a selection of our best-selling fire pits and water features. Next to us will be Chilstone on stand PW/607. This year Chilstone are proudly celebrating 65 years of handmaking cast stone in Britain and always have a fabulous display. If you are visiting this year, please come and see both stands. We look forward to meeting you. Contact us for more information on Solus products. Or visit our website: www.solusdecor.co.uk. Made in Vancouver, Canada. Shipped worldwide.